Dental Practice Ellisville MO - Personalized Treatment - Oral Surgeon | Dentist Ellisville MO - Dental Care | Dr. Andrew G. Mitchell, DDS & A . 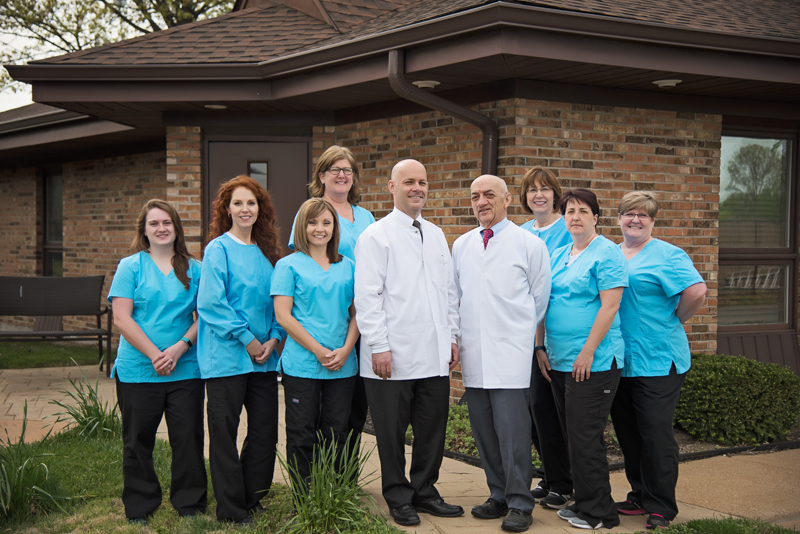 Since 1976, Dr. Andrew Mitchell has been practicing dentistry at this Ellisville location. His approach is friendly and personalized. Dr. Mitchell believes in taking time to carefully explain recommended procedures to each patient. 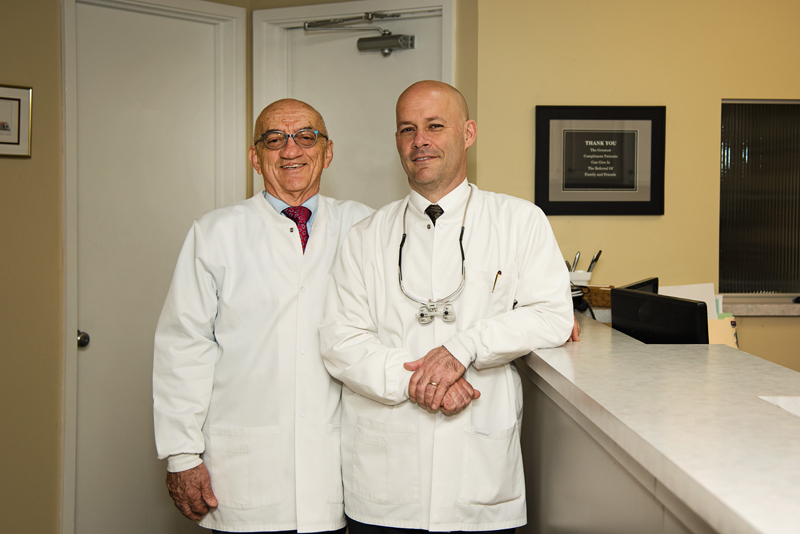 In his capable hands, you receive top quality care delivered with expertise and a welcoming personality – an overall positive dental experience. Dr. Mitchell grew up in Santa Fe, New Mexico. He attended University of New Mexico, graduating with a bachelor’s degree in biology. His Doctor of Dental Surgery degree was earned at Washington University Dental School in St. Louis. After graduation, he joined that institution’s faculty, serving as a clinical instructor for five years. Membership in the American Dental Association, Missouri Dental Association, and the Greater St. Louis Dental Society keep Dr. Mitchell up to date on changes in this fast-evolving field. He and his wife, Georjan, have been married for more than five decades! They enjoy spending time with their eight grandchildren. Dr. Scott Mitchell has had the privilege of serving friends, neighbors, and family in this Ellisville area since 1995. Patients of all ages seek his personalized dental treatment delivered with innovative and painless techniques. 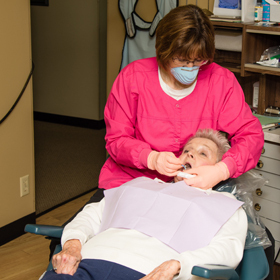 His friendly and informative approach helps to make dental experiences reassuring and positive. While he seeks to provide state of the art dental care, you will find that the practice has a family friendly atmosphere. In 1995, Dr. Mitchell graduated from UMKC School of Dentistry, joining Dr. Andrew Mitchell at their current Ellisville location. He is passionate about expanding his skills and knowledge through continuing education, regularly exceeding the state’s minimum required hours. He believes this level of expertise has contributed to his A rating on Angie’s List. Dr. Mitchell is a St. Louis native. He and his wife Amy have three daughters and a son-in-law. When he is not working, “Dr. Scott” loves to spend time with his family, watch sports, and go hunting and fishing. He enjoys wine tastings at local shops and venues. He also serves as a deacon at Trinity Church in Kirkwood.